Dissolution dynamic nuclear polarization (DNP) provides a broadly applicable and rather simple means of developing probes for the real-time molecular imaging of cellular functions in vivo. The development of novel dissolution DNP substrate formulations is only rewarding for substrates that yield detectable metabolism within few minutes. In addition, in vivo preparations usually require amorphous samples at molar substrate concentrations for an efficient and reproducible DNP step with sufficient material. The composition ranges of novel substrate preparations need to be established experimentally owing to the solute’s impact on vitrification behavior. Here, we describe simple rationales employed in the development of novel substrate preparations for dissolution DNP-magnetic resonance. 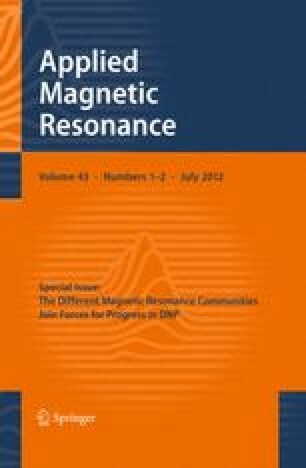 Solution state substrate polarizations between 10 and 40 % have been obtained for ~40 metabolic substrates in highly concentrated preparations that yield physiologically tolerable solutions with sufficient T 1 for in vivo nuclear magnetic resonance. Substrate metabolism is observed for novel in vivo substrates such as 3-hydroxybutyrate and aspartate.